It is important to service your heating system yearly by a qualified technician to maintain your equipment with longevity, durability and low energy cost. Heating systems are complex pieces of equipment that should never be tampered with otherwise serious damage could be sustained. When your heating system is not maintained yearly, it will likely operate inefficiently and the health of you and your family could be put at risk. At Five Lions Heating & Cooling we do service/repair and new installations in the GTA. If your furnace is not functioning and struggling to heat your property effectively, is a new installation or simply just needs a tune up, it’s important to seek a professional at Five Lions Heating & Cooling. Our goal is to provide you with the most cost effective and suitable solution. Our team of experts are trained and experienced to service and repair all makes and models Five Lions Heating & Cooling, we’re dedicated to creating long – term relationships with our clients and strive to provide top quality service! 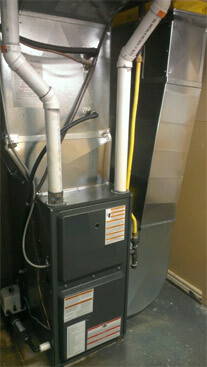 Book an appointment today and service your furnace!